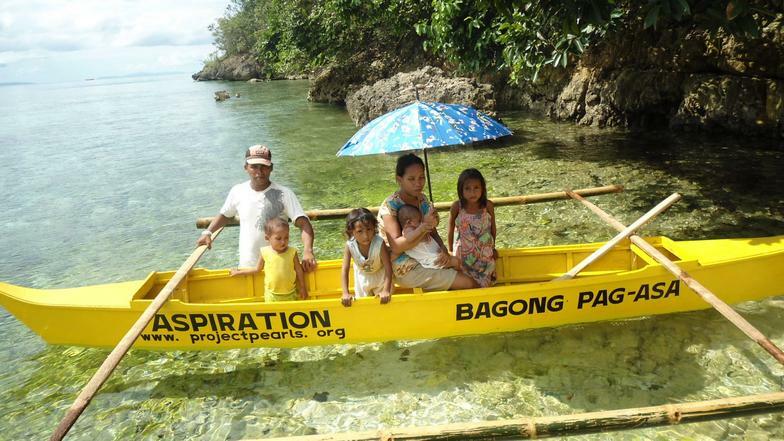 In collaboration with Yellow Boat of Hope Foundation, Project PEARLS launched the “YELLOW BOAT PROJECT” to benefit the school children of Isla Mababoy in Masbate. 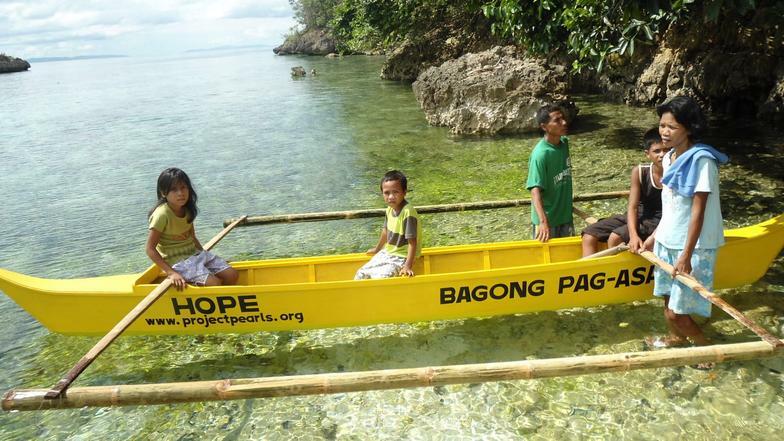 These children SWIM to school just to get the education they want, need and deserve. 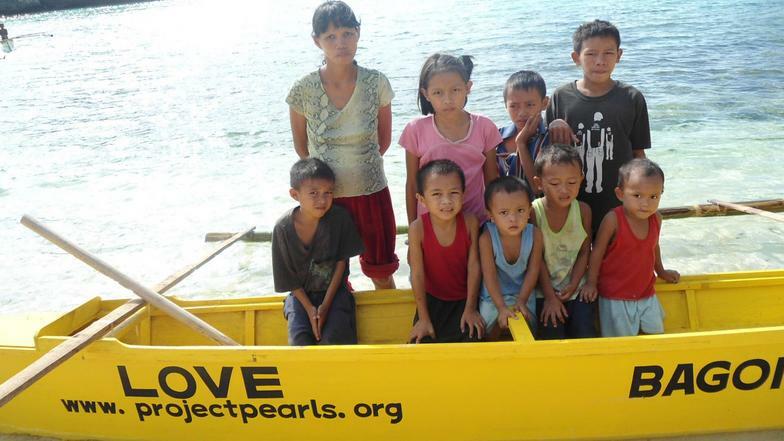 Project PEARLS is proud to announce that we have raised enough funds to give the school children of Masbate 8 boats namely, Peace, Education, Aspiration, Respect, Love, Smile, Hope, Faith. 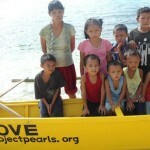 To learn more about these school children who swim to school, watch this CNN report. 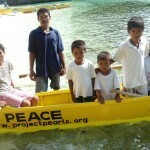 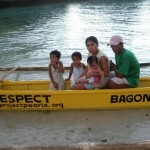 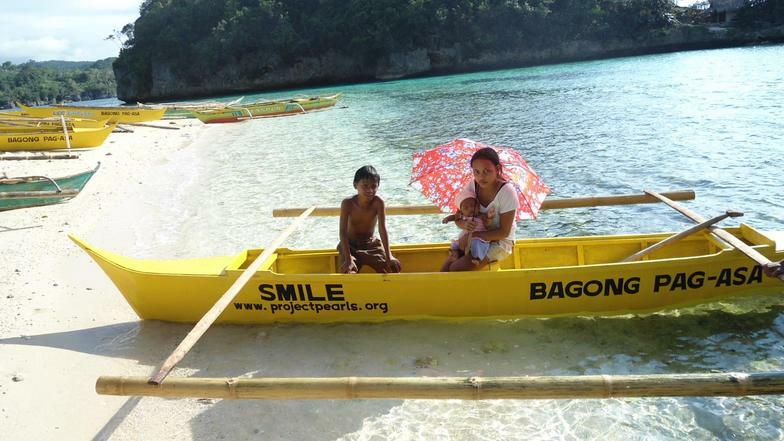 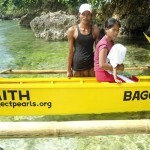 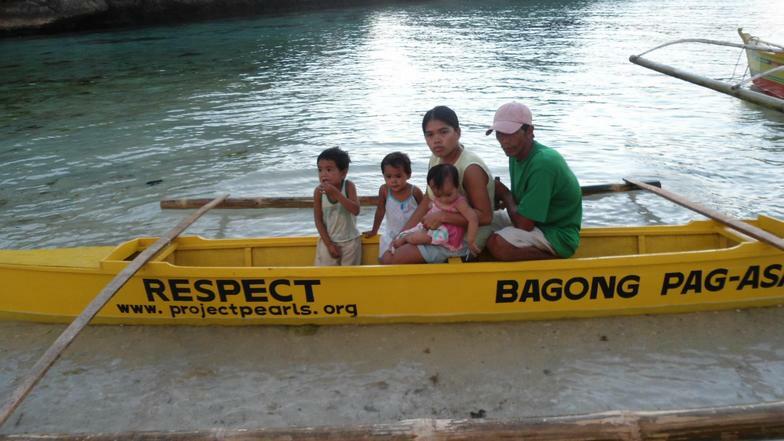 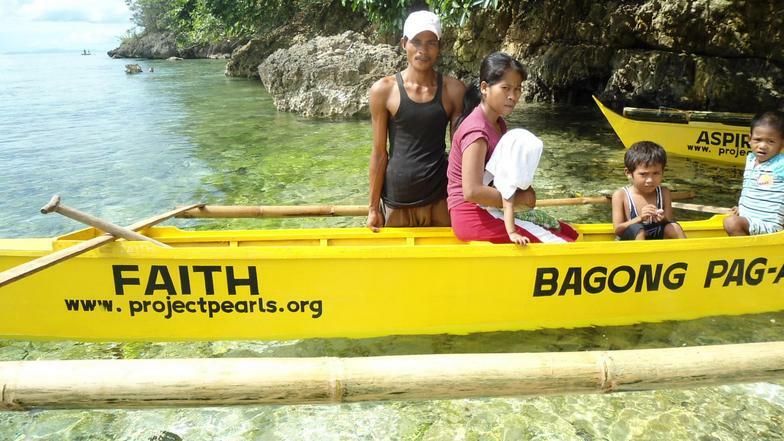 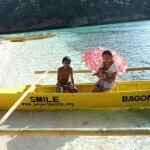 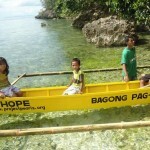 Project PEARLS’ PEACE boat is the answer to the problem of Pareng Pining‘s children in school. 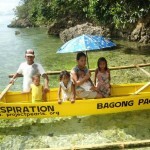 His kids have to traverse cliffs, cross a thigh-deep river, and brave grassy trails for an hour to and from Guinhadap Elementary School. 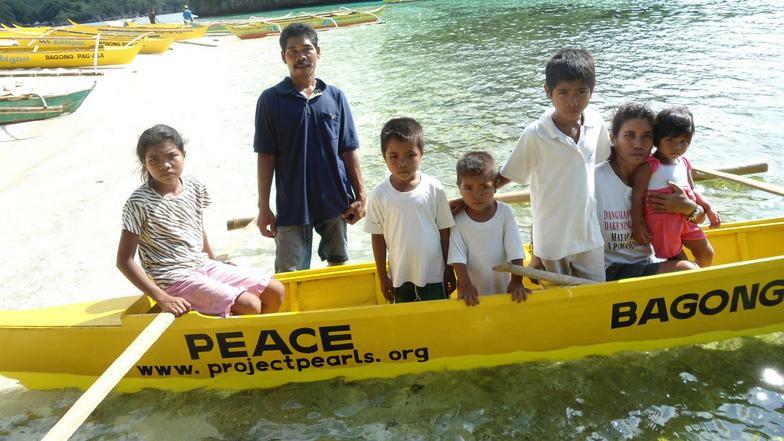 With PEACE boat, they would simply paddle from Sitio Luba to be at Mababoy Elementary School.